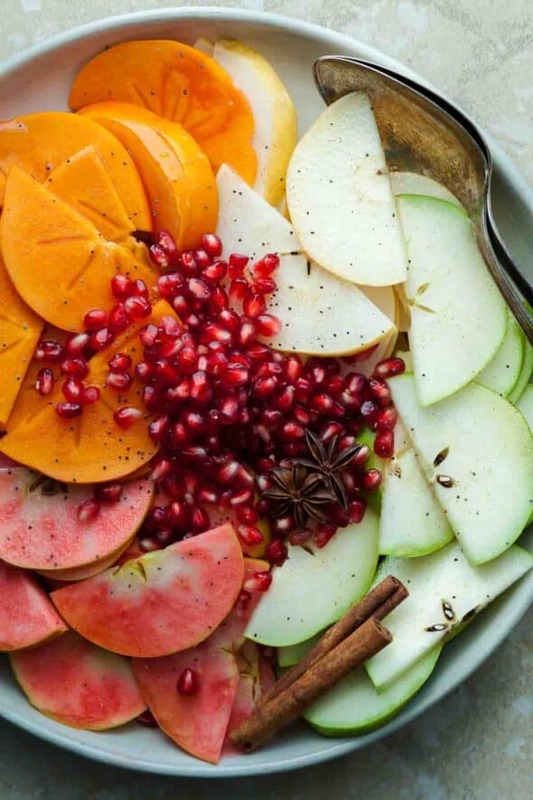 A holiday fruit salad filled with apples, pears, persimmons, pomegranate seeds and seasonal spices. There’s nothing better than a bowl of fresh fruit to break up the assault of overly rich foods we so joyful indulge in around the holidays, but all too often fruit salads are treated as an afterthought. They’re simple and refreshing but not terribly interesting or festive. 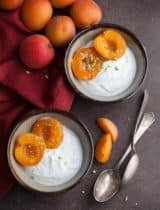 With the bounty of summer stone fruits and berries long behind us many fruit salads during the rest of the year contain little more than some bland chunks of honeydew or cantaloupe and a few red grapes, so it’s little wonder we don’t often think to add them to our holiday dinners and brunches. 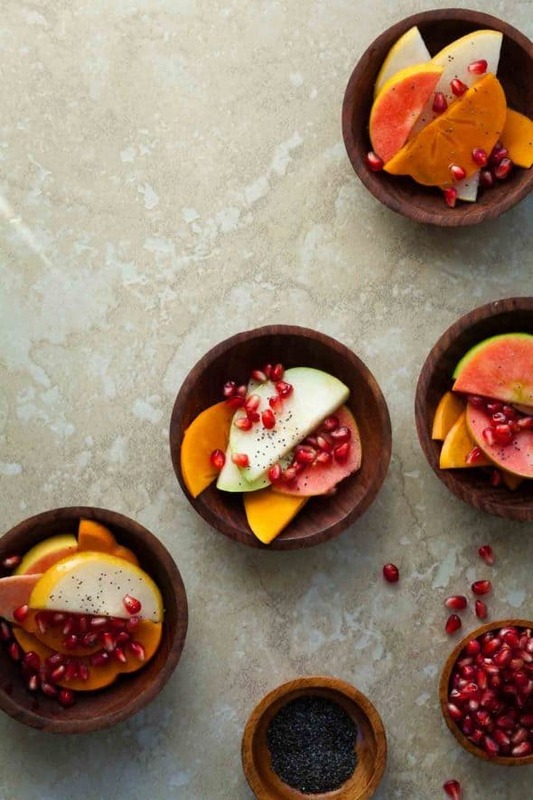 But this gently spiced fruit salad may have you re-thinking their potential. 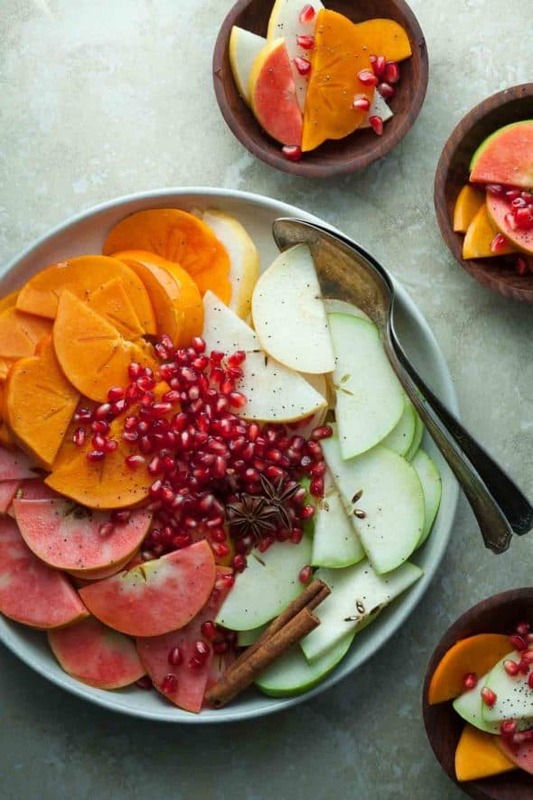 This holiday fruit salad is filled with crunch, color and seasonal spices. 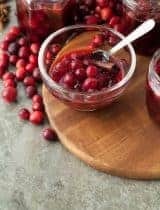 On a brunch or dinner table filled with rich casseroles and a parade of desserts it offers a welcome opportunity to pause and refresh our palates. 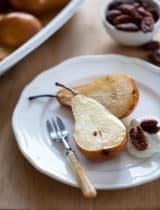 It’s a wonderful mix of contrasting tastes and textures with crisp apples, juicy pears, sweet persimmons and tart pomegranate seeds, but it’s the spice infused syrup that takes it from simple to special. 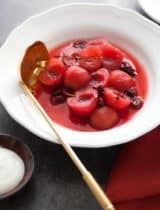 I’ve used Fuyu persimmons (the squat round ones) for their firm flesh and sliced them thinly along with two kinds of pears and the prettiest pink inside apples. 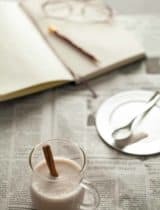 The syrup calls for vanilla, cinnamon and star anise, which adds a sweet and spicy complexity with just a hint of licorice to the fruit and is a natural complement to the dishes you’re probably making anyways around this time of year. 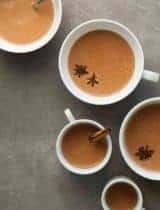 Bring the honey or maple syrup and water to a boil, along with the star anise, vanilla bean and cinnamon. Simmer gently over low heat for 5 minutes, then cover and turn off the heat. Let cool to room temperature. Strain out the spices and use immediately or store in an air-tight container in the refrigerator. Meanwhile, place fruit in a large bowl and pour syrup on top. Toss gently. 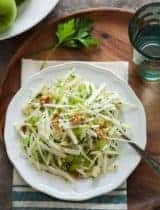 Top with poppy seeds and serve. Looks delicious and the flavor combination. Love the citrus flavor. This sounds absolutely delicious plus it's beautiful too! I love Fuyu persimmons and Asian pears. 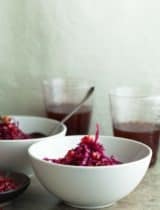 Such a great idea to pair them with that lovely syrup and the pomegranate arils too! I never had a star anise. Love the addition of the vanilla bean. This recipe sounds so inviting.